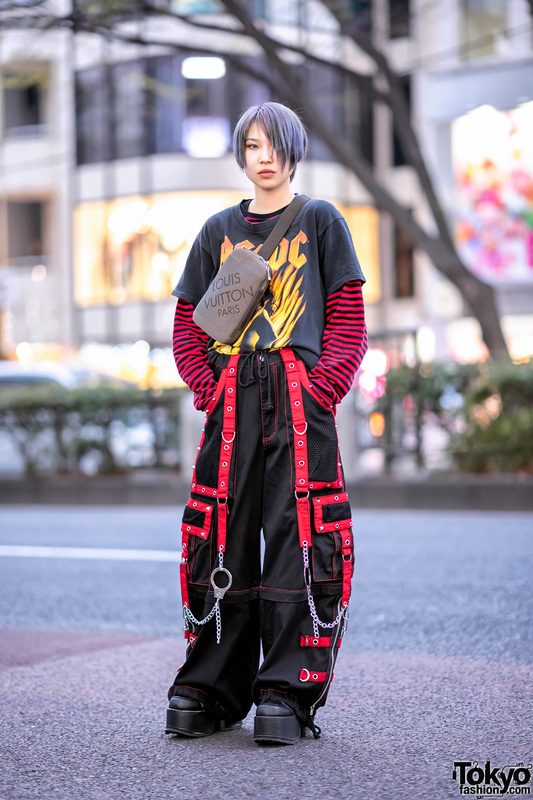 It’s hard not to miss Yuta -the fashion designer for his own label, Yuta Yajima – in his chic dark-hued streetwear outfit as we walked along the Harajuku street one afternoon. 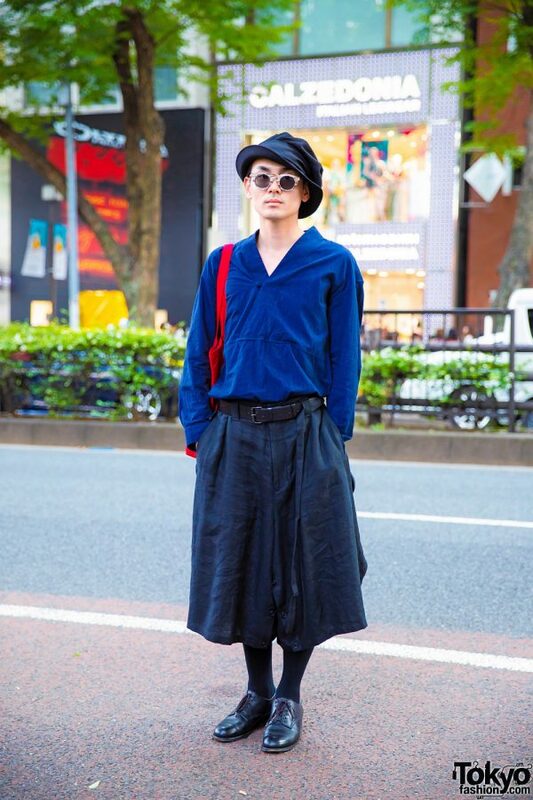 Yuta is clad in a blue long-sleeved tunic top from Issey Miyake, tucked into dark blue Yohji Yamamoto belted wide-leg pants with side button closures along the inner seam, also cinched with a black leather belt. 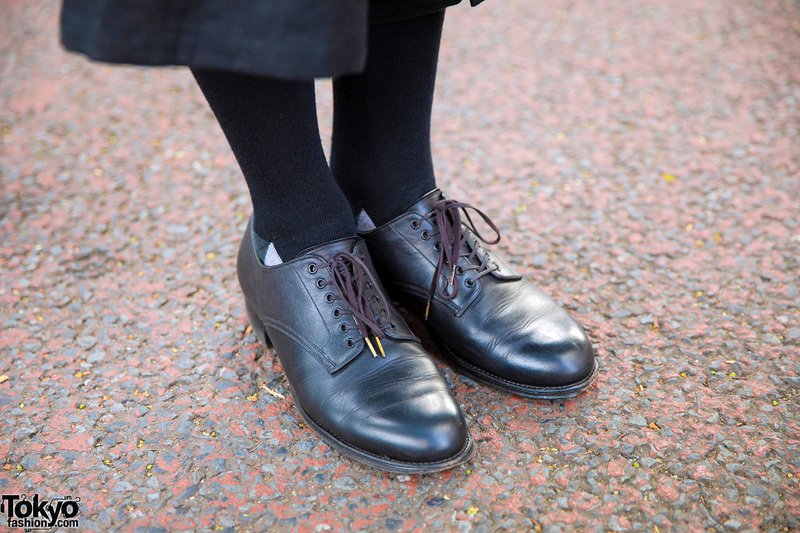 He styled his outfit with black socks, black leather lace-up shoes from Foot The Coacher, a black hat, and a pair of statement-making sunglasses. 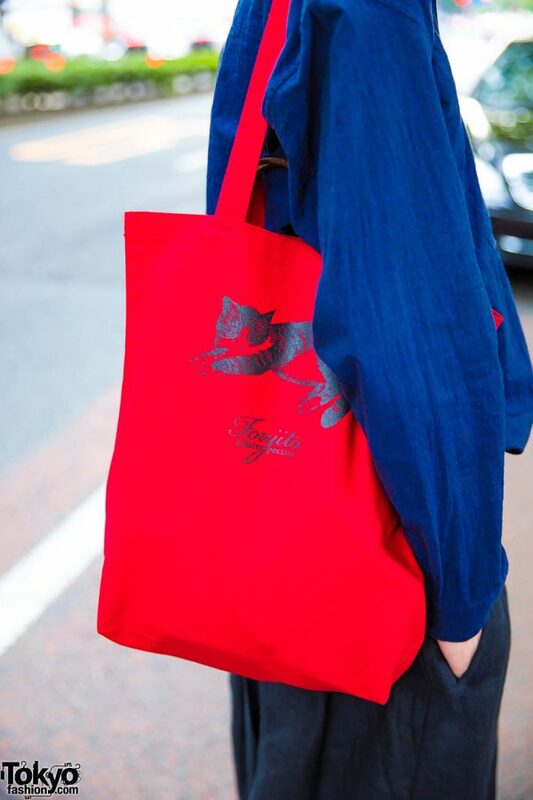 In addition, Yuta is carrying a red cat print tote bag from the Leonard Foujita exhibition. 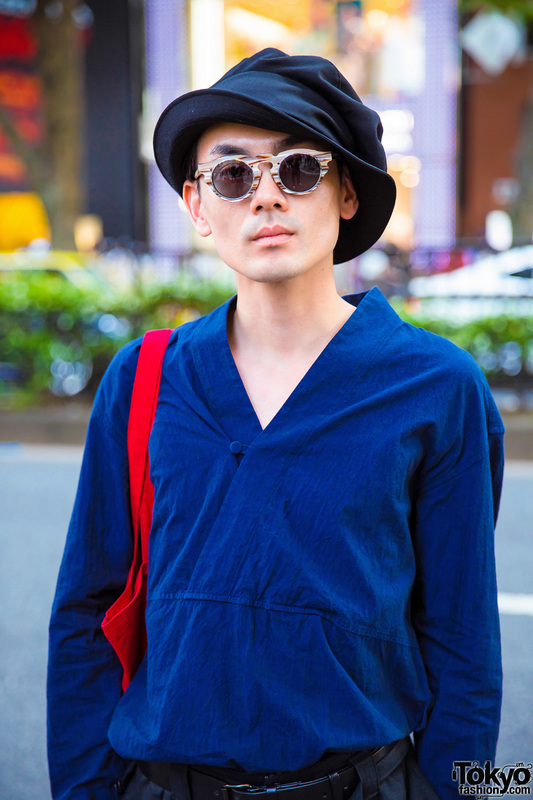 Yuta lists Yohji Yamamoto and Ann Demeulemeester as his fashion favorites, and he likes the music of Patsy Smith. 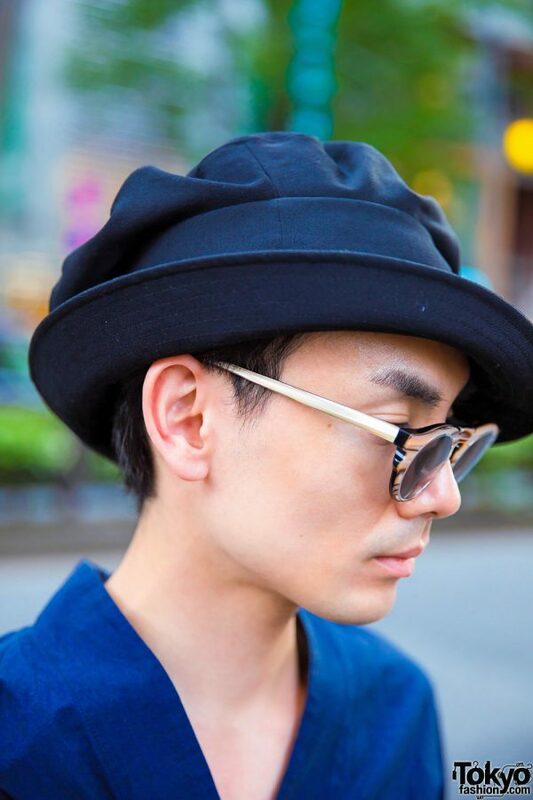 Follow Yuta and his menswear label, Yuta Yajima, on Instagram.